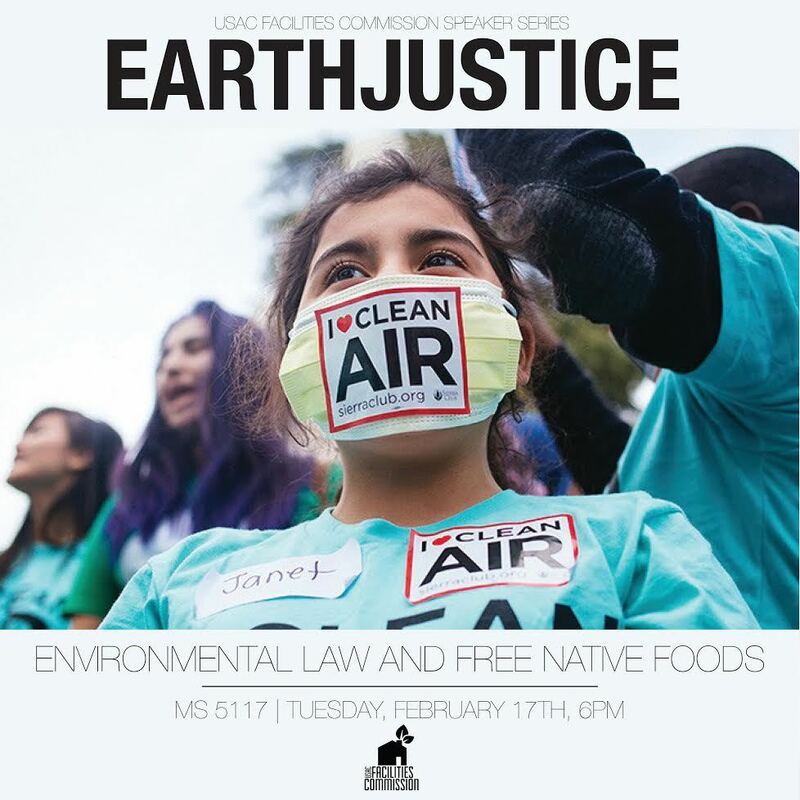 Come learn about environmental law and speak with representatives from Earthjustice! Free Native Foods! Brought to you by the USAC Facilities Commission. Earthjustice is the nation’s premier environmental law firm, defending our fundamental right to a healthy environment. Earthjustice is headquartered in San Francisco and has nine regional law offices, an international program, a communications team, and a policy team in Washington, D.C. With this combination of expertise and reach, we mount smart, effective campaigns that draw from our excellent legal work but are also supported by savvy lobbying and hard-hitting communications.